The Puhinui International Three-day Event this coming weekend is the last event of the New Zealand spring season, and earns bonus points in all the ESNZ Eventing series. Riders from throughout the country aspire to participate in this prestigious event on the iconic Puhinui Reserve, overlooking the Manukau Harbour. There is a new Course Designer this year, Ewan Kellett from Australia. Long time cross-country designer/builder Tich Massey has decided to take time out and open up the venue to fresh ideas after fifteen years on the job. Tich is one of a select group of FEI level 3 Course Designers in New Zealand, and also designs top level courses in Australia. Ewan is a former rider, having evented to 2* level, and been involved in course design since 1999. He qualified as an FEI level 3 Course Designer in 2007 at the age of 32. Currently he is the designer for the Sydney and Melbourne Three-day Events, as well as many other courses throughout the country, and is also responsible for the Japanese National Championships. The Super League class at Puhinui, the Honda New Zealand CCI3*, has attracted thirteen entries, despite the riders who took their horses to Adelaide CCI4* last month not starting. However Donna Edwards-Smith has lined up both her two, DSE Cluny and DSE Tangolooma, having retired both early on the challenging Adelaide course after run-outs. Cantabrians Emily Cammock, Kirsty Sharapoff, and Corey Wood have brought Shaw Lee, Shoot The Breeze, and Pick Up Line respectively, and all will be highly competitive, having competed at Puhinui previously. Shaw Lee was second and Pick Up Line third in this class last year. 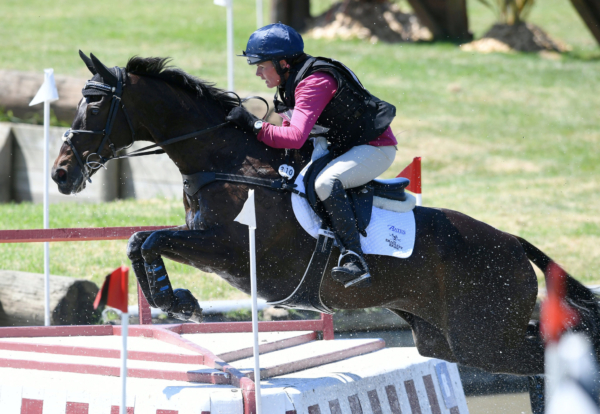 Emily and Shaw Lee were another combination to retire early on the cross-country at Adelaide. New Zealand Oceania team member Samantha Felton has both Ricker Ridge Rui and Ricker Ridge Divine Right entered, with Young Rider team member Abigail Long riding the experienced Enzo, having stepped up to top level without missing a beat. Nick Brooks has had a run of placings on For Fame since moving up to 3* this year, including second at the NRM Taupo CCI3*, so has to be one to watch. Former international Matthew Grayling, a dairy farmer from New Plymouth, rides NRM Trudeau for Winky Foley, and they are the form combination this season, having won the Dynavyte CIC3* at Taupo. However if the event secretary Diane Gilder were to win on her handsome Australian thoroughbred Your Attorney it would be both popular and well deserved. Current internationals Tim and Jonelle Price, the leading eventing couple in the world, who hold third and seventh place respectively in the FEI Rider Rankings, will be back in New Zealand and at Puhinui, as will Irish international Cathal Daniels, fourteenth in the FEI Rankings, and at 22 years old the baby of the silver medal winning Irish team at this year’s World Equestrian Games in North Carolina. Friday is dressage day, Saturday’s cross-country follows the Breakfast with the Stars, and Sunday’s showjumping takes place after the final veterinary inspection. The forecast is for summer to finally arrive for the weekend, so it looks like a brilliant opportunity to see the best eventers in the country pulling out all the stops before their summer break.